Bemidji State’s lecture capture software service is being upgraded to version 5.0. The Panopto 5.0 upgrade info webinar is now available on-demand. If you were unable to attend the Panopto sessions, or if you missed any part of the webinars, you can view it by visiting this link: Panopto 5.0 Webinar The webinar recording is 29 minutes in length, however, you can navigate to the chapters of interest to you. Panopto for Mac now supports multi-camera recording and live webcasting. Webcast viewers can now pause and rewind the live feed using a new DVR service. Panopto for Windows includes a modern UI and the ability to record system audio. Automated recorders support new permissions and include usability improvements. For information on how to get started using Panopto at Bemidji State contact Brian Jambor: bjambor@bemidjistate.edu or contact the ITS Help Desk. The Oculus Headset has changed the way we view and interact with 3D models. We are no longer limited to viewing virtual objects on a flat computer screen. Through the Oculus, users can easily create and explore virtual worlds in real time. This session will demonstrate the workflow used to develop for the Oculus and will also showcase several demos of what the device can do. 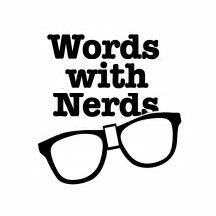 Come learn about creating 3D world, Virtual Reality and the Oculus Rift in this Words with Nerds session. For more information and to register, visit the event listing on the BSU calendar.